You can read the summary of Pope Francis’ homily here at Vatican News. But it is he who is destroying me! And you cannot do it to the other. You cannot enter into the logic of the accuser. ‘But Father, I have to accuse.’ Yes, accuse yourself. You do well. For the other, only mercy, because we are children of the Father who is merciful. Who is it that pushes us to accuse others to make them STOP? I would argue that most accusations aren't made in order to destroy, so this is just more victim blaming. LOL - PF's off his meds. Actually, life fluctuates between two spheres- God or Nothing -as Cardinal Sarah rightly pointed out, not just between God and the Accuser. One may as well do away with all courts and jails if, as this pope seems to imply, mercy means simply forgiving and forgetting without any justice to be brought about. There is something about this sugary view of mercy that reminds me of the fake hippies of the 1970's, but I cannot place my finger on it. Perhaps it is just that it would fit well in the anti-rules and authority (anti-rigidity) bias of those times. By "anti-rigidy" I mean the "do your own thing" mentality of those times. 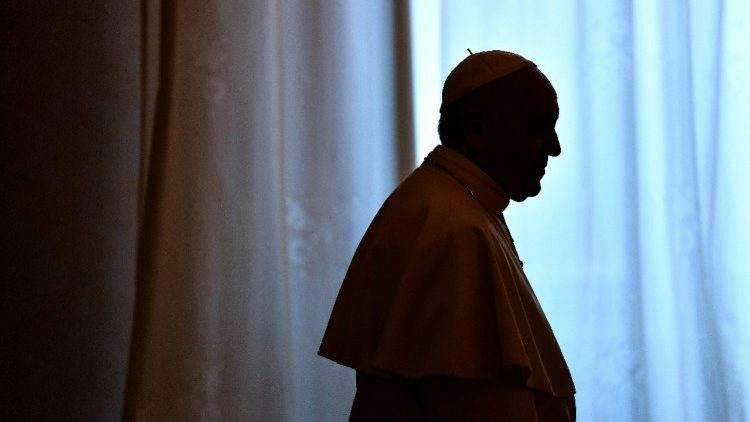 This pope fails to distinguish between sin and failure to perform the duties of one's office. A predator cleric would certainly sin if he sexually abused people whether minors or vulnerable adults. He may sincerely be sorry and wish to repent, but that is not the issue. The issue is that the particular sin is incompatible with the office the cleric holds, and would also need to make some restitution to the victims, which in these cases, like in the case of murdering someone, is not possible. To restore some sense of justice, a penalty must be paid by the sinner, which is the issue, and the pope seems to imply that no penalty is needed. This is part of an article that appeared in the Chicago Catholic (formerly The New World) archdiocesan newspaper's latest issue in a book review "Theology of Francis"
"For readers interested in learning more about the theology that informs Francis’ ministry, Rafael Luciani’s deep-dive into Bergoglio’s South American context serves as an excellent resource. The book centers on the “theology of the people,” a style of theology popularized in Argentina by the theologians Juan Carlos Scannone, Rafael Tello and Lucio Gera, all of whom figure prominently in the book. Luciani introduces these figures through their understandings of the relationship between theology and culture, with chapters exploring the connection between theology and peoples, the signs of the times, pastoral ministry and geopolitics, culminating in an exploration of Francis’ theology of encounter. The book’s key insight builds on the preferential option for the poor, which was first elaborated by Latin American liberation theologians such as the Peruvian Dominican Father Gustavo Gutierrez and the late Brazilian Archbishop Dom Helder Camara. In the Argentinian context, this preferential option for the poor invites the church not merely to regard the poor as a central focus of church activity, but to enter into the daily life of the poor, of those pushed to the periphery, where God is already at work. This is a decidedly anti-colonial vision of the church. During the period of colonization (and in the continuing colonial mindset), the “Christianization” of the “New World” involved in large part suppressing native cultures, viewing indigenous and slave populations as uncultured savages and forcing Christianity upon these people, which amounted to a Europeanization of them. In this way of thinking, in order to become a real Catholic one also had to become — linguistically, ritually, aesthetically — essentially Spanish or Portuguese. Well, this sure explains a LOT! Agree with Victor. While the hyperlink isn't working properly for me, the provided paragraph is sufficiently telling. Amazing how PF is trying to redirect one's focus away from failure to manage/failure to supervise/failure to be morally responsible for oneself and, those who surround you who vowed to dedicate their lives to, among other things, the moral high ground. Where is the responsibility or, does self-governance afford one the opportunity to redefine responsibility if and when needed?